In line with SEAT's ambition to build on its spectacular sales growth through 2011 and beyond, the Spanish car maker is continuing to expand its successful network of UK dealers. The SEAT network currently now numbers 122 dealers nationwide, with additional customer support provided by a small quantity of ‘service-only' garages. However the aim by the early part of 2012 is to grow the network size still further - up to as many as 135 sales and service dealers across the UK - and current performance suggests the firm is on course to hit this ambitious target. 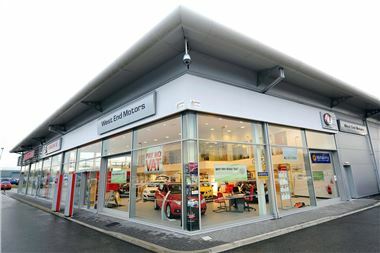 With just a handful of open points still remaining across the UK and impressive dealer coverage in many of the key urban areas including London, Manchester, Birmingham and Bristol, SEAT's franchise team is seeing active competition between would-be dealers for the chance to run a dealership. Key to the brand's success in attracting new operators, and replacing existing dealers where necessary, is its willingness to engage with a variety of potential partners. From blue-chip plcs such as Vertu Motors and Sytner through powerful dealer groups such as Arnold Clark and Snows Motor Group Ltd to successful single-site operators such as Pembrokeshire-based Gareth Hughes Motors, the network is a broad mix of thriving business models. Dealer profitability is improving both through increased turnover - SEAT recorded its best-ever March with sales of more than 7,200 new cars for a record UK market share of almost two per cent - and a programme of targeted coaching using acknowledged motor industry guru Trevor Jones. SEAT UK National Franchise Manager Jason Cranswick explained: ‘Absorption rates are improving and an 80% rate as a target should be achievable. Interest is growing in the brand, too, as a recent trip to SEAT's Martorell HQ for existing and potential investors showed. The group saw SEAT's modern production facilities, and glimpsed the future of the brand ahead of a major new product offensive next year.